Wizard, are you ready to dig deep for some gold? 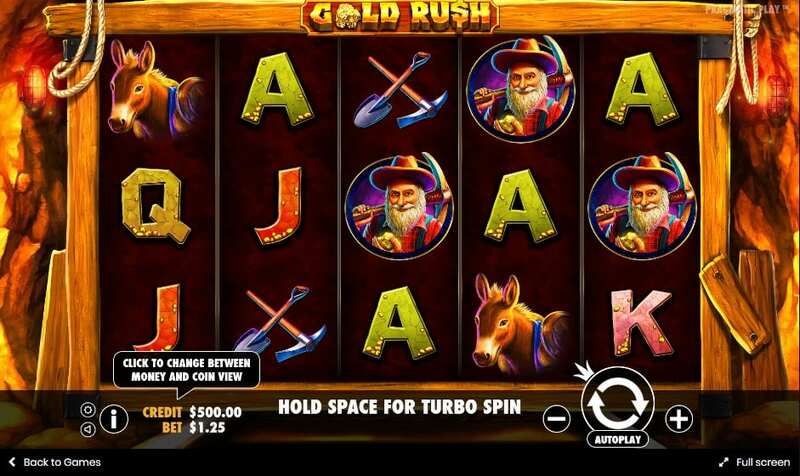 Then Gold Rush by Pragmatic Play is the video slot game for you. Follow the prospector into the mine that is sure to be glittering with golden nuggets. But be careful with that dynamite and make sure it rains gold not destruction as you move that haul of beautiful precious metal back up to the surface. Those nuggets are worth their weight in, well, gold! Bringing you free spins and making those golden coins flow. So if you are ready to dive on in, then let’s saddle up that pony and get digging. Pragmatic Play might be a newcomer to the online casino game industry but that sure hasn’t stopped them from making a huge name for themselves. Developing innovative games that are accessible across 78 countries and 23 languages is only one of the reasons why they pack such a punch. Pragmatic play have vowed to provide their users superior performance in their games with consistent delivery. That means fresh new games getting knocked out regularly. If you are looking for stunning visuals, high-quality gameplay and fantastic payouts then keep your eye on Pragmatic Play. Follow the link for online slot games for more Pragmatic Play creations. 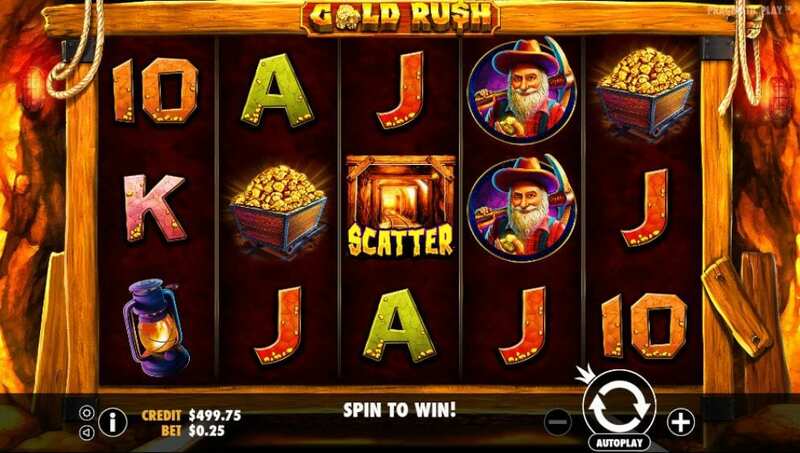 If you’re ready to make a fortune in Gold Rush, the 5 reel 25 payline video slot game by Pragmatic Play, then get ready to dig deep. Along with the gold speckled traditional deck card A, K, Q, J and 10, you’ll see some marvellous mining tokens such as a oil lamp, a cart full of gold, a pick and shovel, and a mule. You will also come across the bearded prospector. And what do you think he means? More gold of course. For best online slots with high RTPs, read our guide today! Keep an eye out for the sticks of Dynamite as this games Wild. When the dynamite blows gold will rain down in the form of winning combinations when they replace all other symbols except the Scatter. Collect those golden nuggets to keep the free spins coming and help you advance deeper into the mine where more gold lays waiting.